Baker McKenzie has for more than half a century been a trusted adviser to the world’s largest healthcare companies. Among the first firms to provide comprehensive industry advice — covering biopharmaceuticals, medical devices, and healthcare services — Baker McKenzie has a team of lawyers with broad experience and a sophisticated understanding of the global life sciences market that few can match. The team helps healthcare companies soundly navigate intensifying legal and commercial risks, realise opportunities for expansion and growth, and stay ahead of the innovation curve. The firm's international network spans 47 countries, including the largest healthcare markets in the world. Many of its practices — including M&A, Tax, Compliance, Healthcare Regulatory, Employment, Intellectual Property, and Dispute Resolution — are ranked among the world’s leading. The firm’s lawyers have developed a depth of knowledge in the industry in respect of various market players including manufacturers, distributors, research institutions, clinical trial bases and health and regulatory authorities. For more information, visit www.bakermckenzie.com. Over the past few years there have been a number of major trends that are developing and disrupting the traditional ways of doing business and how life sciences and healthcare companies operate. Price pressures, changing business models, the impact of geopolitics and trade agreements/trade wars, new therapeutic products, big data as a new battleground combined with enhanced data and real-time results from artificial intelligence, flourishing deal activity, compliance and transparency are some of the overarching themes and issues that many in-house legal teams and law firms are working together on to address. Life sciences companies remain subject to historic pressures over pricing and reimbursement and, recently, the scrutiny has intensified further. As a result, the sector is facing increasing levels of complexity to gain market access. Different health technology assessment (HTA) methodologies are used in different jurisdictions to inform pricing and reimbursement decisions and add products to private and public formularies. In some regions, a real problem is found in public formularies. For instance, in Latin America, where most countries have public health systems and public procurement mechanisms, products still have to be added to a Basic Formulary and one or more Institutional Formularies before being included in public tenders. This is on top of the first product approval, at which stage quality, safety and efficacy are evaluated. Additions to formularies are decided on pharmaco-economic (efficiency) grounds and could typically take three to four years to complete, significantly delaying access to the most advanced treatments for patients in the public health system. However, outside Latin America, most notably in Europe, HTA assessments and pricing and reimbursement decisions require an increasing set of supporting data, making it harder- and in some cases even impossible - for innovative therapies to gain market access. In recent years, to contain costs and address uncertainties, alternative payment mechanisms, including risk-sharing agreements (either financial or performance-based) are being pursued between life sciences companies and payers. In the US, where Democrats have taken the House of Representatives, the review of drug pricing is back on the agenda in 2019. The shift in the political landscape is giving a new impetus to reforms in what could become a bipartisan effort to lower drug prices. In the European Union (EU), the European Commission tabled a legislative proposal to harmonise HTA assessments across Member States and organise the conduct of joint clinical assessments at the EU level in January 2018. The proposal has met substantial opposition from certain Member States (including Germany and France) and has been substantially amended by the European Parliament. It is now under consideration by the Council, but significant disagreement still exists, particularly in relation to any mandatory use of joint clinical assessments. Formal adoption is not expected before 2020. Cost and the need for innovation are important drivers for many changes in business models today. The need for efficiency and cost savings are leading to consolidation in healthcare systems and integrated healthcare models. It is also leading to significant changes on the supplier side, with pharmaceutical, biotech and medical devices companies driving for efficiencies in R&D, rationalising supply chains and operational excellence, investigating the possibility of direct distribution models and increasingly engaging in the localisation of manufacturing for better market access. A change in business models is also witnessed in the medical devices industry's move to managed services, with a view to offer holistic solutions. Some device companies are offering expertise to private and public customers to finance, design, construct, furnish, maintain or even operate labs, operating rooms and equipment. Managed services are not limited to infrastructure or equipment: they can relate to the provision of medical or administrative staff, stock management or fulfilling training needs of healthcare facilities. Strategic partnerships are also considered in instances where not all necessary skills are available internally. This has effects on both horizontal and vertical relationships and competition law issues need careful navigation in addition to other areas like tax, healthcare services regulations, procurement, compliance and liability on a country-by-country basis. Ranging from manufacturing to conducting clinical trials, the life sciences industry is increasingly globalising. It is important to understand how geopolitical circumstances like Brexit, trade agreements like the USMCA, China's regulatory reforms, and its trade relationship with the US may act as disruptors or facilitators to conduct business in a global environment. Following the referendum of 2016, the UK has been scheduled to leave the European Union (EU) formally on 29 March 2019, but the process has been fraught by political uncertainty ever since, leaving the life sciences and healthcare industry little choice than to prepare for the worst. The UK and the bloc have struggled to find an agreement on the final withdrawal treaty, which provides a transitional "standstill" period until the end of 2020. At the time of writing this, any such agreement has been rejected for the second time by the UK parliament and the future of Brexit remains uncertain. As with any other industry, the healthcare sector will need to follow the latest developments. 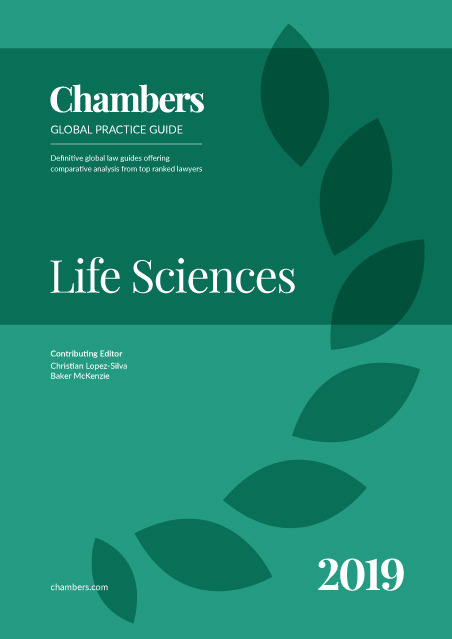 While the long-term impact for life sciences and healthcare is uncertain at this point, both are likely to be impacted significantly, due to the all-encompassing nature of the EU regulatory framework, especially for pharmaceuticals. Considering the decades of integration of pharmaceutical regulation and oversight at EU level, the impact of the UK’s withdrawal from the EU system will be felt on both sides. The European Medicines Agency (EMA), the EU regulator approving most innovative medicines, has moved to Amsterdam, suffering significant staff losses in the process. For marketing authorisation-holders of medicines in the EU, the impact is no less: companies need to consider that EU marketing authorisations and orphan drug designations must be held by an EU entity. Pharmacovigilance and batch-release functions may also need to be moved and potentially duplicated. The EMA and the Heads of Medicines Agencies have released guidance to help companies navigate Brexit and have encouraged companies to submit the necessary regulatory filings. Brexit presents its own unique challenges for the medical devices industry, considering the implementation of new medical devices regulations which will become applicable in 2020 and 2022. The new regulations present a major overhaul of the medical devices regulatory framework in Europe, requiring extensive planning and preparation. While the main message to UK companies is to implement the regulations, Brexit uncertainty represents challenges in the details of the implementation. Pending uncertainty, supply-chain restructuring has not been uncommon. Meanwhile, warehouse spaces in the UK are at full capacity, with companies stockpiling products following recommendations from the UK government. The G-20 Summit at the end of 2018 was the backdrop for the signing of the United States-Mexico-Canada Agreement (USMCA), the trade agreement intended to replace the North American Free Trade Agreement (NAFTA). The USMCA has a number of provisions impacting various sectors. For life sciences, it provides an enhanced data protection term for biologics of ten years, which exceeds the available protection under both Canada and Mexico's regimes, but is shorter than the current period in the United States. The trilateral agreement also includes chapters on data storage and transfer. This could mean enforced digital trade guidelines in terms of privacy and cross-border data transfer laws (but an overall low impact to the sector, where the status quo may prevail). At the same time, the USMCA contains regulatory annexes on chemical substances, cosmetic products, medical devices, and pharmaceuticals, which has now become a trend in international trade law. However, by March 2019, it was not clear whether the USMCA would be approved by the US Congress any time soon. Despite the trade war between the US and China, Trump's tariffs have not impacted China's pharmaceutical industry thus far. US imports of Chinese pharmaceuticals and raw ingredients used in drug manufacturing have won Trump Administration support for a tariff exemption. However, tensions are felt in the investor community: since 2017, Chinese venture capital and private equity funds have been pouring billions of dollars into American drug developers, particularly biotech. Last year, the Trump Administration tightened its foreign investment review mechanism, which is affecting the influx of Chinese investments in the US pharmaceutical sector. Chinese funds will be subject to more stringent scrutiny from CFIUS if they try to acquire R&D know-how from American biotech and life science companies, or seek to obtain in-licensing for certain drugs under development. As part of China's new organisation plan to reduce the number of state agencies, the China FDA (CFDA) was replaced and is now the China National Medical Products Administration (NMPA). The NMPA falls under a new agency, the State Administration for Market Regulation (SAMR) which undertakes the responsibilities previously undertaken by a number of other regulatory bodies including the State Administration for Industry and Commerce (SAIC); General Administration of Quality Supervision, Inspection and Quarantine (AQSIQ), Certification and Accreditation Administration (CAC) and the Standardisation Administration of China (SAC). The reshuffle is said to illustrate the country's move to improve antitrust/anti-monopoly, patent and pricing regulations rapidly, as the country looks to nurture innovation in the midst of its trade war with the US. It also positions the new agency as a "one-stop shop" for companies trying to gain multiple regulatory approvals for drugs and devices. Synergies between medical and information technologies have resulted in a new era of digital health. Innovations such as apps, wearables and portals for patient communities have created a world of opportunities by closing the gap between the industry and the patient/user. Conversely, as privacy rules apply to more projects developed by pharmaceutical and medical device companies, new challenges and regulations have surfaced which dovetail the responsibilities of functional and legal teams. For companies developing new digital health models, it is important to understand the interconnectivity of various legal issues, including cyber-security and privacy laws, data localisation restrictions, intellectual property, corporate and contract law, as well as regulatory aspects which may vary by region or country. Technological innovation has also brought the capacity to generate, monitor and use new forms of data from patients with greater ease and speed, including real-world data and adherence information. This is part of the new resources that could help improve the provision of healthcare and increase health outcomes. What is less clear, from a regulatory perspective, is the precise relationship between real-world data on the one hand, and the safety and efficacy traditionally established through clinical trials on the other hand. Should real-world data only be supportive to safety and efficacy, or could it in some cases replace clinical trials? If that line of thought is further recognised, this could simplify and accelerate the regulatory pathway for medical devices and for medicines. Furthermore, if it accumulates to the ongoing initiatives in many jurisdictions to limit what is considered a medical device, this could represent a significant overhaul of the sector, which is consistent with its faster life cycle. At a minimum, how real-world data is analysed and treated could differentiate remarkably the regulatory framework for drugs and medical devices. The European General Data Protection Regulation (GDPR) became applicable on 25 May 2018. Despite being a European piece of legislation, it is having effects beyond the EU: any entity outside the EU that is processing personal data of EU residents under certain circumstances (eg, where the EU is targeted in connection with offering goods and services to data subjects) will need to comply with the GDPR. The amount of personal data processed by healthcare and life sciences companies, some of which is considered sensitive, makes the consideration and implementation of the GDPR a key priority. The new measures that need to be implemented under the GDPR are significant. They include: increased informed consent and transparency requirements, appointment of an internal data protection officer in certain circumstances, privacy impact assessments, increased data-breach reporting within 72 hours and the right to be forgotten, except in the case of scientific research or narrowly defined exceptions related to public health (with the interpretation of the term “scientific research” not yet being clear; eg, the question of whether and to what extent scientific research is conducted with the aim of making profits, etc). The interplay between the GDPR and clinical trials regulation needs further clarification. The European Commission is currently drafting a much-anticipated Q&A list. The European Data Protection Council issued an opinion in January 2019 on the draft Q&A, setting forth the legal grounds in relation to primary and secondary use of personal data collected in clinical trials and the impact on informed consent, making a clear distinction between the consent obtained for good clinical practice and GDPR purposes. While the GDPR presents itself as a unified piece of legislation, a challenge is that it provides the possibility or even the necessity of national deviation in many instances. The fines for non-compliance are hefty (up to 4% of global turnover). Recent scientific progress and price factors are driving growing interest in new therapies, particularly for advanced therapies, including regenerative medicine. However, only some jurisdictions have issued specific provisions and regulatory pathways for gene, cell and tissue therapies. This is amplified by the increasing intention to facilitate early access to new therapeutic products, which requires adopting schemes such as breakthrough status in the US, or PRIME in the EU, which facilitates interactions with the regulator, and which are intended to speed up the approval process and improve chances of success. It also requires exploring and aligning import mechanisms available for expanded access programmes or compassionate use. Companies and law firms should consider the regulatory, compliance and foreign trade implications in relation to this area. The new paradigm of "putting the patient at the centre" means that an array of supporting services is being developed around the product and the patient to improve health outcomes. In some cases, this has brought together players from different sectors. For instance, the model of companion diagnostics in oncology, where a genetic test will help determine whether an oncology treatment will be useful for a given patient or not, implies complex regulatory and contractual arrangements. This could include linking the marketing authorisations for the drug and corresponding medical device. Companion diagnostics also presents interesting intellectual property issues relating to the relevant biomarkers for both the companion diagnostic and the therapeutic product, and the rights to genomic profiling information generated from the correlation of clinical study data. New cross-border models are also emerging. To continue using the example of companion diagnostics, it could be that the confirmatory tests are conducted in the US, while the patients, test results (information) and therapeutic treatments are located and given in Mexico. While commercially attractive, this adds customs and privacy law considerations to the model, including determining whether or not the biological samples from the patients require an export permit, and identifying potential restrictions for the processing, control and transfer of personal data. At the same time, cross-border and collaborative models are increasingly coming with segregated or outsourced components, making it difficult to determine, for example, if for regulatory purposes there is a health service being provided locally and if this requires a licence or permit (eg lab testing). For law firms, this requires the integration of commercial law, regulatory law, customs law and privacy law. For companies, this demands more intense interaction between functional teams (including legal) and outside counsel. More assets are being acquired at earlier stages of development for a variety of reasons – most obviously because promising late-stage candidates have already been acquired, but also because of the clinical development failures of late-stage candidates, which is not uncommon. Both of these force companies to look earlier in the product pipeline. In addition, the cost of many late-stage candidates is increasing. Many of these early-stage deals today are contingency deals to mitigate the buyer's risk, and the seller accepts a lower upfront payment in return for larger payments upon the completion of defined milestones and higher royalties or, in a profit-split structure, a greater percentage of eventual profits. Conversely, the availability of high-quality early-stage assets is growing, especially with the influence of technology, and may grow further with the anticipated use of artificial intelligence in R&D and increased availability of big data. At the same time, the continually increasing cost of bringing new drugs from discovery to market is causing pharmaceutical companies to rationalise their product pipelines along the clinical development pathway. However, in response to this pipeline-pruning, a new source of clinical development funding has emerged in the form of private equity and venture capital firms coupled with clinical development expertise. This new form of clinical development funding presents an opportunity for additional products to reach the market for the benefit of patients worldwide. A recent report by Baker McKenzie and Oxford Economics predicts global healthcare M&A to rise to USD331 billion in 2019. The outlook for biotech IPOs also remains strong, fuelled by the emergence of a crop of young biotech companies arriving on the market with high valuations, being chased by strong investor appetite. Activity has also been boosted by US FDA efforts to speed up approvals, along with the new listing regimes in Hong Kong, which makes it easier for companies to list. The Hong Kong Stock Exchange now allows biotech companies that are not yet profitable or without revenue to list, provided its expected market capitalisation is more than HKD1.5 billion. That compares to the three consecutive years of profit and revenue, which those listed on China's main exchanges - Shanghai and Shenzhen - must prove before listing. The new rules in Hong Kong mean the number of biotech companies coming to the market in the early stages of R&D and with no profit or turnover is expected to grow. Amid constant pressure from governments to control inadequate promotional practices in some countries, companies have decided to reduce significantly or eliminate altogether interaction programmes with healthcare professionals (HCPs) and/or with patients and patients' organisations. This is an area that is more closely framed as a regulatory issue in some jurisdictions, whereas in others it is framed as one of compliance. The latter occurs where HCPs tend to hold positions or work at large in the public health system of their countries, and are therefore considered public officers for the purposes of anti-corruption law. Growing concerns over interaction practices has increased the number of jurisdictions introducing transparency provisions, such as the one contained in the US Sunshine Act, which aims to make transparent the value channelled to HCPs by pharmaceutical companies. However, in other jurisdictions, data privacy of HCPs still trumps transparency in the balance of interests. Many regions riddled with corruption are introducing new local rules, which are patterned after mature anti-corruption and anti-bribery regimes of the US and the UK. These new players, however, are finding it difficult to understand the need and value for the life sciences industry, HCPs and patients (to have in place educational programmes, for instance). At the same time, the emphasis is moving from HCPs to patients, which is a less regulated area, either by mandatory instruments or voluntary codes of practice. This changing landscape requires companies and law firms to have specialised experts in different fields, including commercial, regulatory and anti-corruption. Supporting life sciences and healthcare companies is becoming increasingly more complex. Digitalisation and evolving business models are creating opportunities for existing and new corporate players in the industry, notwithstanding some of the challenges that go hand in hand. While regulatory regimes often lag behind innovation, more stringent laws such as the EU GDPR have implications for pharmaceutical, biotech, medical devices and healthcare services companies worldwide. Although globalisation continues to fuel deal activity and trade, protectionism has become more prevalent, which may have implications for a multi-dimensional industry like healthcare. Many of these trends are interconnected, which not only broadens the scope of corporate in-house legal teams’ involvement with other business divisions, but also requires external legal advisers to provide a combination of interdisciplinary legal expertise and business acumen.